Alejandra Miles, right, meets with Stephanie Ortiz and Edward Fulk Jr. with his daughter Luna. Photo by Phil Jones. 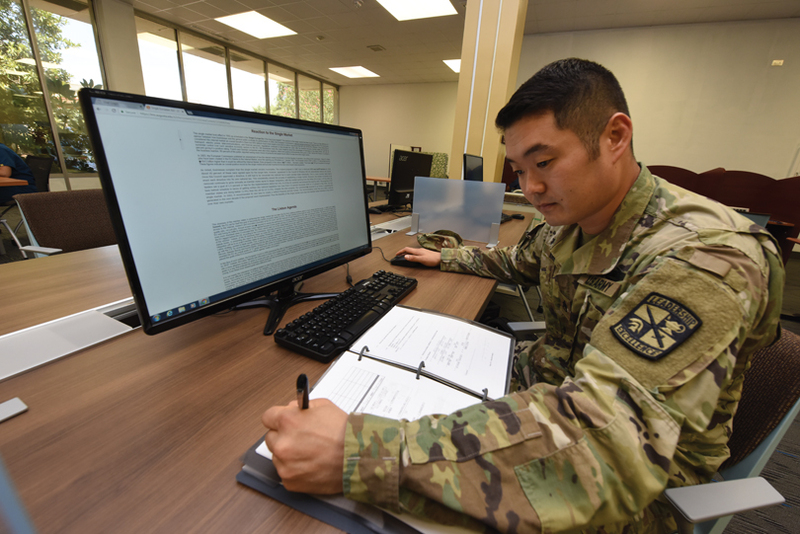 Before he became the 2018-19 commander for the Jaguar Army ROTC Battalion, U.S. Army Cadet Chris Han was serving as an enlisted soldier at Fort Gordon studying linguistics at the Defense Language Institute. However, Han wanted more out of his military career and decided to enroll at Augusta University after learning about the Augusta University Degree Completion Initiative (AUDC), a collaboration with the U.S. Department of Defense to help DOD employees, both military and non-military, earn their bachelor’s degrees. Han says the AUDC Initiative is what encouraged him to attend Augusta University and ultimately become a member of the Jaguar Army ROTC Battalion. 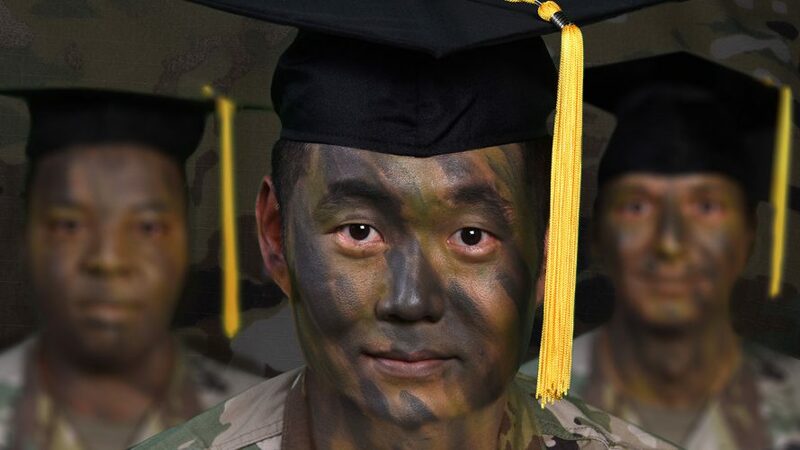 Han is set to graduate in spring 2019 and says the leadership training he is receiving in Augusta’s Department of Military Science is already preparing him to be a strong officer in the U.S. Army. He attributes his success as a student to having support from his professors, taking advantage of academic counseling and spending time in the 24-hour Military Resource Center. However, his most memorable moment as a student has been his participation in Augusta University’s Model United Nations program, a three-credit class culminating with a trip to New York, where each program represents a particular member nation of the real UN. Chris Han. Photo by Phil Jones. Supporting military students is a promise Augusta University continues to keep as the institution rallies around service members, veterans and their families to assist them through education, employment and athletic activities. For two consecutive years, Augusta University has been ranked among the nation’s top 100 military-friendly schools in the nation by news publication Military Times. The annual designation is awarded to those institutions that provide high-quality educational support to military students as well as recording positive graduation and employment outcomes. Augusta University takes pride in its efforts to assist military students. 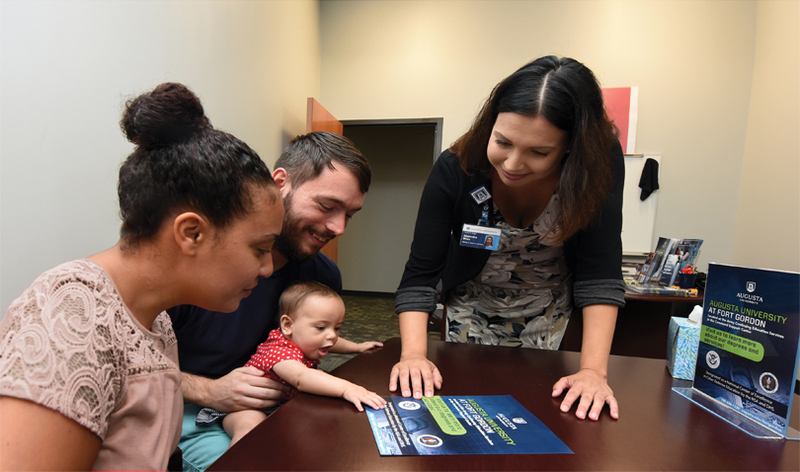 The university’s Office of Military and Veterans Services provides veterans and their families with VA school benefit certification, tuition assistance, mentoring, tutoring and a multipurpose Military Resource Center. Another way Augusta University is serving our troops and their families is by taking educational opportunities to them. 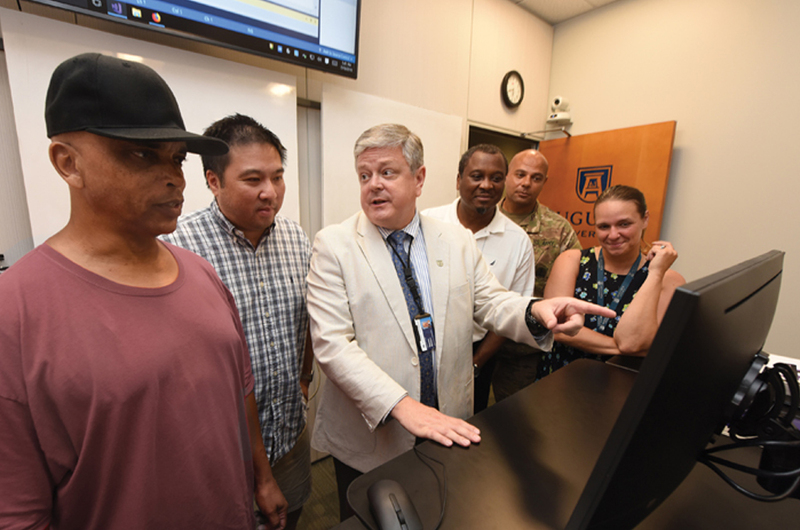 In 2017, the university opened a site on Fort Gordon as a place where soldiers and their families could enroll in the university bachelor’s degree program in information technology with a concentration in cybersecurity. 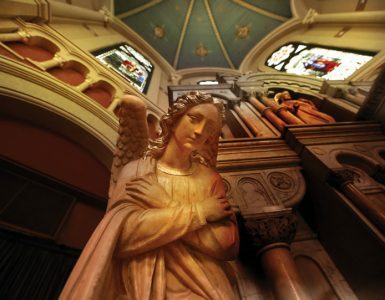 In addition, military-affiliated persons could also receive academic counseling, get help with the admissions process and assistance with financial aid. The ROTC training at Augusta University might be rigorous but it produces some of the nation’s strongest cadets. In fact, the U.S. Army Cadet Command ranked four Augusta University cadets in the top 20 percent of Army Reserve Officer Training Corps cadets in its annual national order-of-merit list. 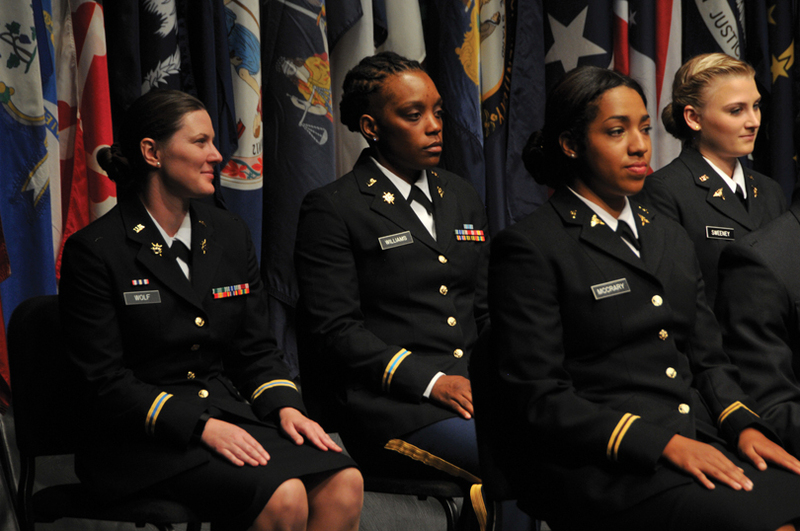 The order-of-merit list is compiled based on several criteria, including grade point average, performance on the Army Physical Fitness Test, college athletic participation and performance during college ROTC training and Advanced Camp at Fort Knox. Lt. Col. Danielle Rodondi, chair of the Department of Military Science at Augusta University, says this accomplishment is a true testament to the caliber of ROTC training offered at the institution. “These rankings are a reflection of the hard work of our students and instructors, and I know these cadets will go on to do great things in their military careers,” Rodondi said. U.S. Army 2nd Lt. Kayla Williams (BS ’18) is one of those cadets, and she attributes her tenacity as an officer to her experience at the university. Kayla Williams (BS, ‘18) sits second from left. Submitted photo. One could almost say Williams’ path into the military was set for her, since both her parents are former members of the U.S. Air Force. However, the Sacramento, California, native began her own military journey in 2011 after two years of college and spent five years serving as a linguist on Fort Gordon in the intelligence community. But she felt it was time to return to school to gain experience in foreign affairs, and she decided to take that journey at Augusta. As a cadet, Williams joined the Euclidean Society to strengthen her mathematics skills and, like Han, dove right into the foreign affairs experience by participating in the university’s Model UN program. In May, Williams received her commission into the U.S. Army as a second lieutenant and is now working for a classified contracting company in Maryland. Williams feels the leadership training she received in Augusta’s ROTC program prepared her for her current leadership position and is grateful to have had that experience. When we think of veterans, we remember the sacrifice and commitment they displayed during their time of service. However, these brave men and women are often faced with a unique set of challenges as they make the transition from military service to civilian life. To help our veterans adjust to their new normal, Augusta University offers faculty and staff in-house training as well as webinars through the Center for Deployment Psychology to increase their knowledge on creating a supportive environment for veterans to transition back into civilian life. When it comes to landing a job, the university’s Career Services helps veterans find employment by assisting them with drafting strong resumes and conducting mock interviews. Maj. Anthony Holland, a career consultant at Augusta University and retired U.S. Air Force chaplain, works closely with Augusta’s military students to ensure they find the right job for them and their family. The Augusta Metro area is moving toward becoming a major technology hub with the arrival of the U.S. Army Cyber Command Headquarters at Fort Gordon and the new Georgia Cyber Center in downtown Augusta. 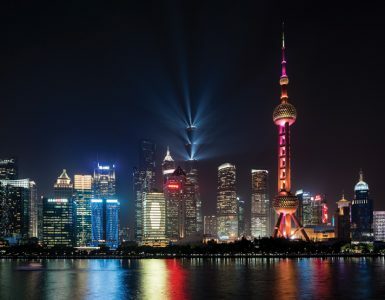 The establishment of these two entities along with other consortia like the Alliance for Cybersecurity Education has generated demand for more technology workers. Augusta University is meeting this need by providing students, especially military students, with degree programs and certificates that will make them even more employable for the U.S. military as well as the defense industry and, in turn, position the CSRA as a resource and partner with NSA-Georgia, Cyber COE and Fort Gordon in cybersecurity expertise. Augusta University is also finding new ways to meet the needs of soldiers and their families, and they will continue striving to provide them with quality education. Steve Weldon, center, instructs computer science classes. Photo by Phil Jones.